The Australian New South Wales police force has a mighty different police car in its fleet. 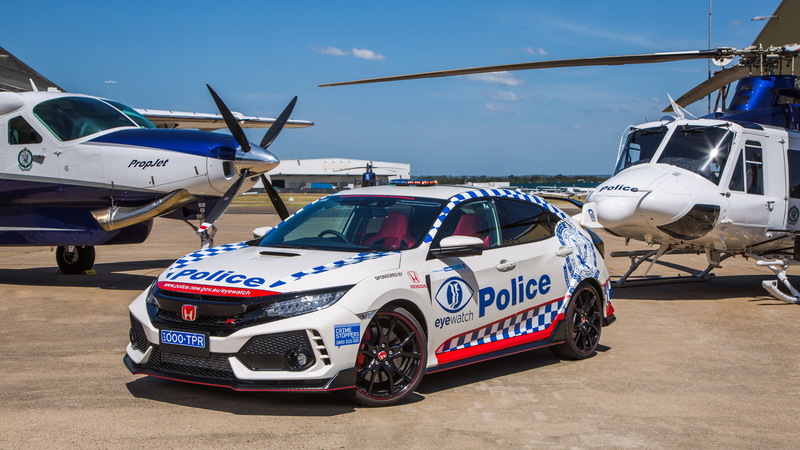 The department and Honda announced the Civic Type R was recruited to join the force as part of the NSW police's Eyewatch program. 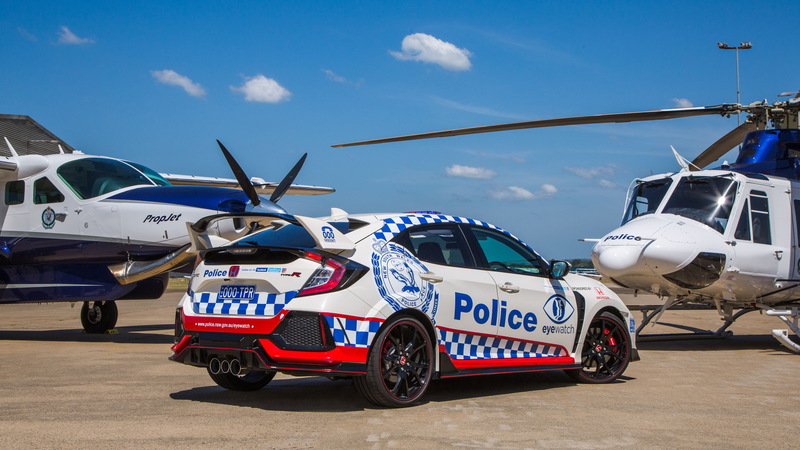 The Honda Civic Type R won't be used for actual patrol purposes, according to information Honda and the department released on Wednesday. Instead it will be used in numerous community outreach programs. Honda loaned the car to the force for 12 months and the department plans to take it to numerous Eyewatch events. The Eyewatch program works to connect communities with local police departments. The goal is to engage communities to become active in their neighborhoods and make them safer. The program also provides safety tips and relies on communities to help find missing individuals and help with information on local crimes. 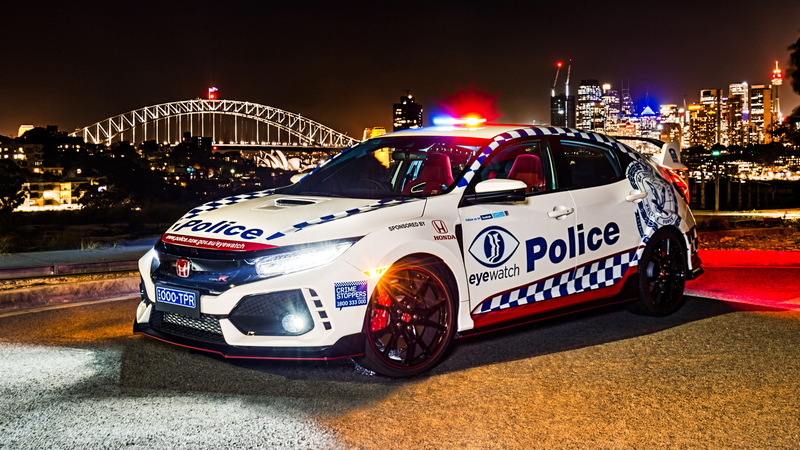 It doesn't hurt that the Civic Type R looks pretty cool decked out in the police colors with flashing lights on the roof. 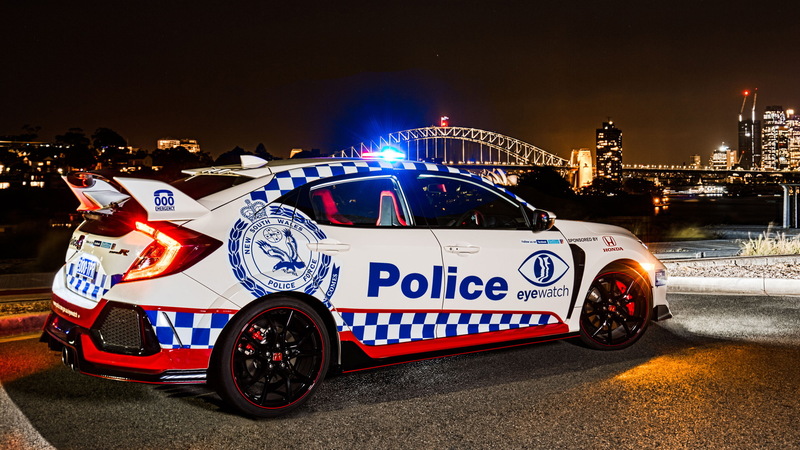 The NSW police force recognized the Civic Type R grabs a lot of attention from enthusiasts, especially the youth, and deemed it the right car to make a splash at Eyewatch events. The fact that Honda provided the car to the department means it didn't cost taxpayers a cent. 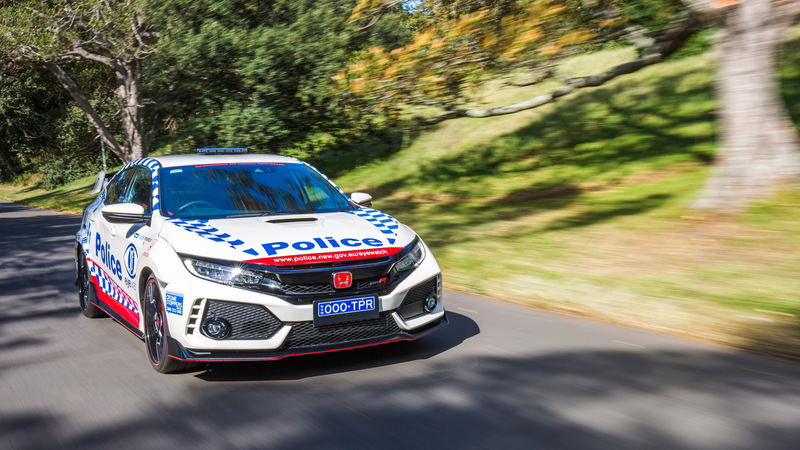 With the Civic Type R relegated to promotional duty, locals will only need to worry about the fleet of Chrysler 300 SRT, BMW 5-Series, and perhaps a few Holden Commodore police cruisers on the road. Yes, Australia has really cool cop cars.